With thousands of career choices available how do you know what career path is best for you. If you are keen on safety and security, then read on because this could be a perfect career choice for you. A career in security is a highly responsible position where you are required to keep any premises and people safe and secure. 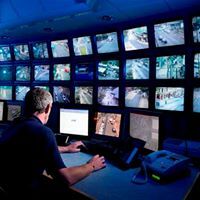 Some enjoy a career in security as there are various challenges faced every day, others may choose this career as they can achieve a sense of duty and responsibility. There’s always a demand for security in every populated area in the country, from event security to bodyguard jobs. If you are considering beginning your career in security, read on to find out more about the role and if it matches your expectations and career aspirations. How Do I Get a Job in Security? Like any career, the first thing you need to do before applying for a job is to get the appropriate training and licenses. 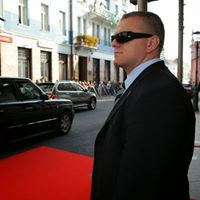 In many places, it is illegal for you to do security work without meeting a set list of requirements, this being certification, security checks and medical checks to ensure you are of a good physical fitness for what can sometimes be a physical job. If you can say yes to the first 7 headings we can help you achieve the last requirement on the list. In fact, we almost guarantee that if you can without any doubt say yes to the first 7 requirements you will already have most of skills it takes to obtain your security licence. Under the Private Security Industry Authority Act 2001, all individuals wishing to work in the private security industry must undertake a recognised qualification before applying for a licence. We can help you obtain the licence you need to get you started. The courses offered focus on different domains within the security sector and will give delegates the necessary understanding to work in a variety of different scenarios. The approved Home Office / SIA training we deliver addresses the different techniques used in day-to-day experiences of those working in security positions.